1.Please tear off the insulating film on the back of the battery before starting to use the phone. 2.Please insert the sim card after power off and reboot the phone after inserting cards. 3.Better to close the background apps for faster running speed and no waste of battery. 4.As electronic products, it is normal when the product gets fever. The phone battery temperature will be about 20 degrees higher than room temperature. 5.Don't put the smartphone in microwave oven or other high temperature place. 6.In order to prolong it's service time and avoid the phone getting seriously hot, it's better not to use the phone while charging. 7.Take a rest after a long-time using. 5.5 Inch Smartphone:The visual effect of 5.5 inch super large touch screen will be more obvious on C8 pro with much narrower bezel. It will provide you with an impressive feast for eyes. 1280*720pixel good resolution ensures clear and bright screen images. Dual Cameras: 8.0MP main camera with flashlight and auto-focus (interpolation to 13MP). 2.0MP front camera (interpolation to 5.0MP) can be used for video calls in different applications and take beautiful selfies. Quad Core Processor: 2GB RAM + 16GB ROM and Powerful Quad core Processor ensures the U7 PLUS run with outstanding performance and low consumption. Memory can be extended to 32GB with Micro card or T-flash card. Battery: Equipped with a 2500mAh big battery which enhances its standby time, and the installed android 6.0 operating system is also power efficient, no more worries about suddenly running out of juice. 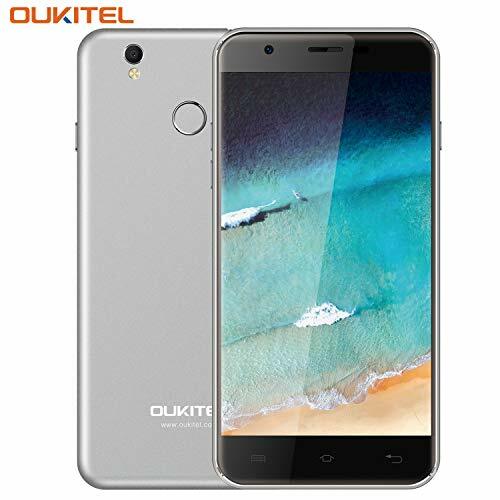 If you have any questions about this product by Oukitel, contact us by completing and submitting the form below. If you are looking for a specif part number, please include it with your message.